(note: All the images on this page are thumbnails. Weight 163 lbs 168 lbs 168 lbs. 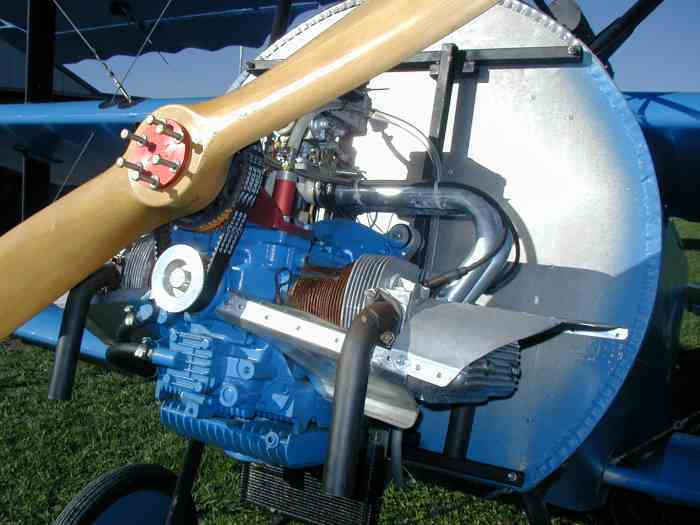 TORQUE MASTER engines "are not" certified aircraft engines. They can only be used in experimental category aircraft. New Cases with the larger oil passages and the dual pressure relief valve system. After installing case savers, the case is machined out for the Cima Mahle pistons and cylinders. Using a CNC Mill, we cut 3 steps inside the cylinder holes to match the cylinders perfectly. The use of 3 precise cuts instead of 1 large cut, leaves more material on the case for increased strength and durability. New Heads TORQUE MASTER'S Big Valve Heads. Increasing the size of the intake valves results in additional horsepower gains not possible from stock heads. So, we machine and install the larger 39 mm intake seats, valve guides, and install the stainless steel alloy intake valves. 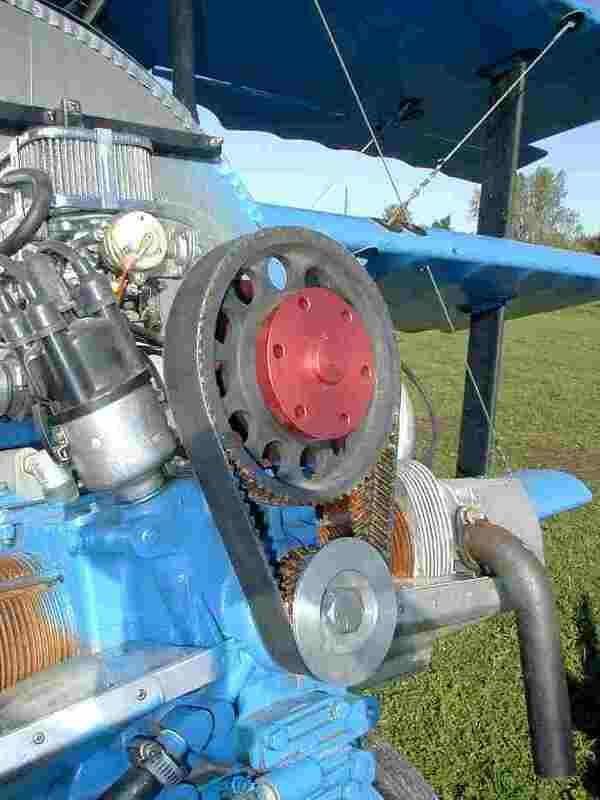 Forged Crankshaft With the increased horsepower created, you have to be able to transfer it to the prop reliably. The weakest link in the chain is the prop hub mounted to the crankshaft. All TORQUE MASTER Hi-performance engines come ready to accept the TORQUE MASTER REDRIVE which effectively eliminate all prop loads on the crank by distributing them to the case. New Pistons & Cylinders Cima Mahle's the name speaks for itself. When only the finest pistons and cylinders available will do, this is the logical choice. Preferred by more top competitors than any other brand, we agree. Cima Mahle's quality is unsurpassed. New Cam Shaft Our TORQUE MASTER 110 cam is set up for .431 inches lift and 284 degree duration. This cam has a mild idle and is superior for high torque applications, providing excellent low and mid range power. Double Thrust Cam Bearings This is the ultimate in a camshaft bearing. Normal VW cam bearings have the thrust shoulder on only half of the thrust bearing. The double thrust bearings we use, provide an equal 360 degree surface to support the camshaft and reduce wear. Hi Carbon Steel Pushrods insure constant valve control under all conditions. They are heat treated to resist flexing and bending at high rpm's. Heavy Duty Oil Pump These pumps come with the 30 mm gears to increase oil pressure and volume resulting in lower engine operating temperature. 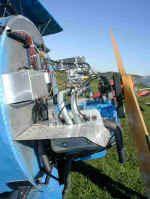 The result is increased engine life . Heavy Duty Swivel Adjusters These super strong rocker arm adjusters are designed to spread the impact load on the valve ends and improve control of valve setting tolerances. They will not bind or distort the end of the valve stem.